“That exactly defines what our system is doing now,” I told her. Biometrics products have their own attractions more than the industries they really served. That's why most of the biometrics players like to put forward their amazing hardware before you, and eager to show how fingerprint verification or face recognition machine works on you during a demonstration session. Their software easily escapes tight scrutiny with this strategy. The truth is, the real purpose of a biometrics device is basically defined and decided by its software. The biometrics device is simply 'soulless' if you skip the software. Very soon, we are about to step into into the unknown territory. We’re at the verge of venturing into the cloud platform of business where the priority has shifted from physical hardware to intangible products. And where intangibility is concerned, the quality service level must be second to none. 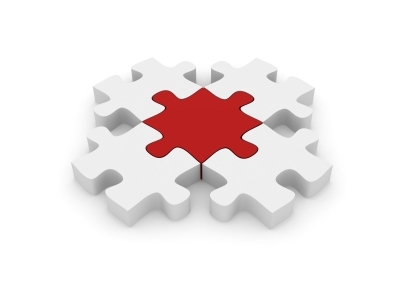 Once a customer places an order online, delivery and support are of utmost importance. Everything happens in real-time and there’s very little margin for error. It’s absolutely different in terms of handling its operations. 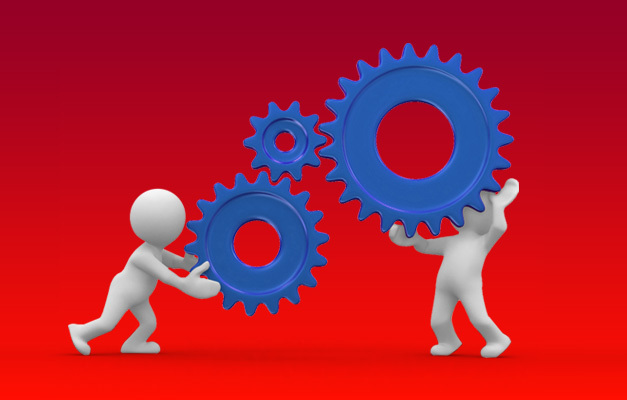 It challenges your reaction time, and your capability as a company, as a brand, and as a team. A lot of people when they read Reader’s Digest, first page they’d turn to is Laughter the Best Medicine, followed by Life’s Like That and All In a Day’s Work. After they are done with the humors and jokes, then only they peruse other serious topics or skip them entirely. Many of us are fond of jokes, or contents that have humor elements. Adults need laughter to release tension, children simply laugh to express their happiness. That’s why talk shows, cartoons, comics and comedies have permanent markets. Even in courting, when you can make a woman laugh, half of the battle is over. How Legal is Biometric Technology? Biometric time clocks and employee clock-in software is changing the face of our workplaces. Who has not asked a coworker to clock in for them when they're running late? Most companies using the technology gain an additional level of security, what with today's political atmosphere, but how legal is it for a company to gather the biological information of an employee? Looking at a glass cup you just had in your hands you notice you left a number of fingerprints on it. You examine each closely and you find yourself fascinated by what you see. But what are fingerprints exactly? Let us talk about that. 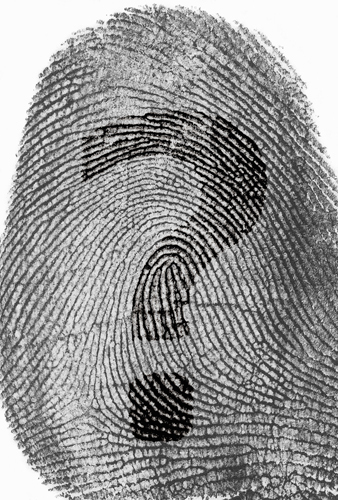 A fingerprint is an impression on a surface left behind by friction ridges on the surface of a finger. A friction ridge is a raised portion of the skin that is made out of a series of connected ridges. Prints are left behind due to the natural sweat from the eccrine glands of the finger. If you have ever been fingerprinted for government or work-related purposes, ink can also be used to create a fingerprint. The natural progression from fingerprint scanning technology is facial recognition technology. While fingerprint door locks are effective security systems, face scanners are arguably even more so because it directly identifies who is trying to access that lock. But how does facial recognition work? Luckily, you have come to the right place to find out. In a few words, biometric scanners work by scanning your finger, hand, and/or face and matching it against authorized users and then either allows or denies you entry. 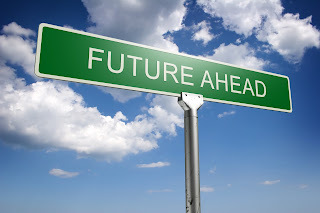 This is not the wave of the future, this is part of the here and now! Biometric scanners improve security exponentially when combined with other security measures like security cameras. This relatively new technology surpasses old-fashioned lock-and-key doors because the key is actually you. While keys can be stolen, copied, and then used for nefarious purposes, that cannot be done with your finger. The sensitive equipment in a scanner can reliably recognize each person's unique physical signature. Another thing to note about traditional doors, their locking mechanisms can be picked by a determined thief. By manipulating the tumblers in normal lock with the right tools, the door is as good as open. Fingerprint scanners remove these two weaknesses from your security system. 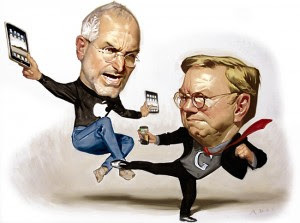 What is the proper word to describe the revolution of Information Technology? A lot of people might find “digital” or “digitalization” well suited to explain the trend. I do agree, but “digitalization” is hard to be comprehended by the layman on how the 0 and 1 or bits and bytes did wonders for changing the world. I choose “integration” as the single word that clearly shows the changes. When PCs invaded offices in the late 80s, some different types of works used to handle by different people, later consolidated to be managed by a lesser few. For example, typist is a bygone job. Why need a typist when you can write on your own PC? For the newspaper industry in the pro-PC era, typesetters used to typeset titles in different typefaces and font size, and contents in smaller point size, and later pass their work to designers to cut and paste with the related photos to construct full pages - but now things have changed as sub-editors took over the task of paginating a whole page. When PCs were introduced, some workflows were fast to become redundant. The multi-tasking of PCs and transferable of data destroyed plenty of old rules and joined many related professions together. It made the used-to-be natural workflow become unnatural, and started a reformation based on the integration of jobs. Later when the Internet connected every PC in the world to become one giant web network, the norm of integration was more apparent. A lot of small merchants saw the opportunity and forayed online; but to succeed, they have to show how good their integration ability is. Because to open a brick and mortar store you’ll need money and some intelligence, but to open an online store, you need money with much more intelligence. The complexity to integrate the sales of tangible products in an intangible system sometimes is beyond comprehension. When cloud-computing started becoming the megatrend, the complexity of the integration level is at all heights - customers, billing, payment, sales & marketing, technical support, products & applications, admin & control, etc., are all intertwined. 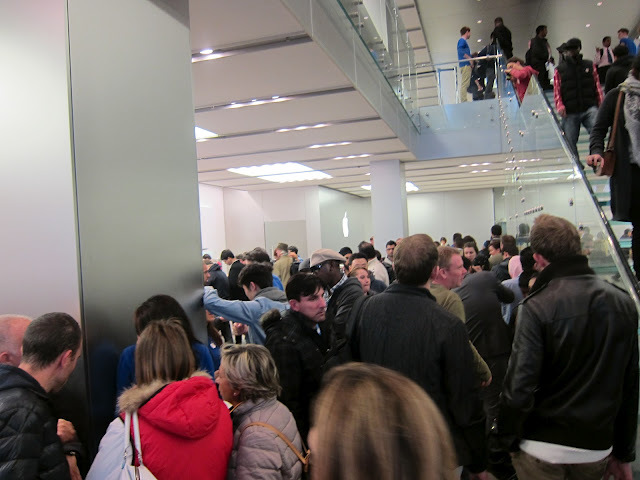 The biggest challenge for the vendor is keeping the complexity behind doors, and displaying the simplicity up front. 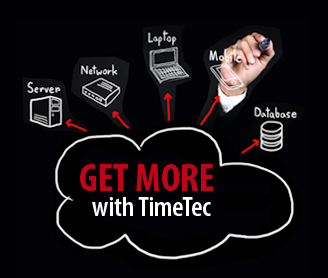 And finally, our TimeTec Cloud is making a debut for customers to try after we opened for resellers to register in July. 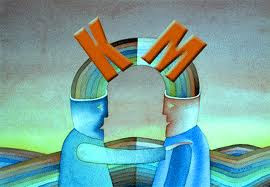 I use this single word, “integration” to conclude our three months of hardwork, and brain-straining labors. And yet we can’t expect any congratulatory flower basket delivered to our storefront; to hope for the glitches to be reduced to a very minimum is good enough. 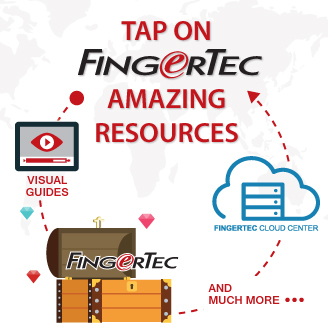 While all integration efforts go to TimeTec Cloud, another integration task is turned on: consolidating the FingerTec USA website into FingerTec main portal, as a move to promote the effective share of online resources. I expect further collaboration with our partners to integrate websites around the world of theirs into ours by next year. Are Smart Phones Taking Over The World? My husband was in London when the iPhone 5 launched, the queue was very long and some had queued for 7 days. 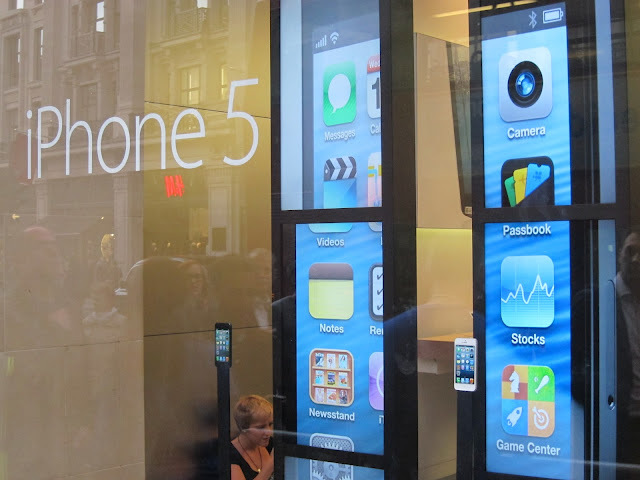 Smart phones reinvented phones to not just be about calls and SMS anymore. Smart phones open up possibilities for people to reconnect with other people in the planet, to discharge time, to do work, to enjoy creative products, to learn new things, to snap photos of your food at all times, and the list goes on. The latest trend, which has been happening in much-advanced countries, is to turn your smart phones into your new wallet. Scan your phone and voila! You can pay for coffee, groceries, electrical items; you name it. Smartphones are not accessories anymore; they have become a part of us, attached to us at all times. We check on our children less than we check on our smartphones. The trend is here to stay. While some claim they could live without their smartphones, majority of owners would be in a state of panic if their smartphones were not in sight. 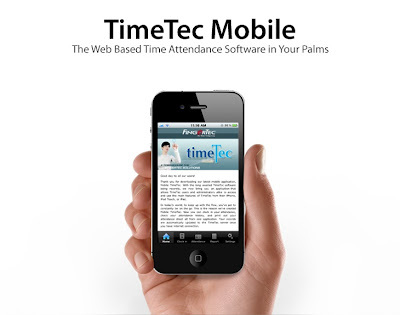 Banking on the trend, FingerTec introduces TimeTec Mobile, an application that knows where you are, enables you to report attendance while online or offline, without you having to convince anybody of your whereabouts. 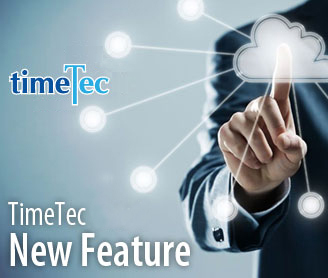 The data then is processed in TimeTec Web at the main office for the human resource department as well as for payroll. How cool is that? All you need to do is to configure your phone and check-in through your phone whenever you are stationed to work outside of the office. The GPS coordinate and your time will be recorded accurately in the system. See, smartphones are about possibilities and TimeTec Mobile is just one of the apps that could better our lifestyle and businesses without having to invest much in it. 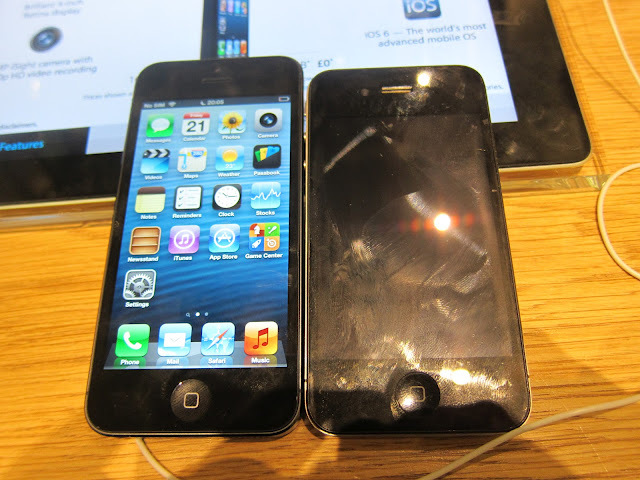 Now, I’m looking at my iPhone 4s and trying to convince myself that it’s enough that I have iOS 6 installed. The fact of the matter is, it is still not iPhone 5. Damn you, Apple! Having your employees clock in is somewhat tricky. But having a reliable way to do so is just as tricky. Traditionally, this meant employees taking a piece of paper and using a hole puncher to clock in and out of work. But this method is too unreliable and cumbersome for not only the employees that have to do it but also the accounting departments that make sure the payroll gets done properly and everyone gets their fair share of the wages. But what can make it easier? Time clock software that works in conjunction with a biometric scanner will do the trick. Old systems employees use to clock in and out of work are archaic and are easily manipulated. Anyone can take any other punch card and use it, either by accident or as a "favor" for fellow employee. At the end of the day, there is no real guarantee that the employee whose name is on that punch card is the one that has been clocking in and out every day and at the appropriate times. A biometric scanner removes all doubts because it requires the unique fingerprint of each person to clock in and out of work. There is no way to get around it. Whether you are a company on the up-and-up or large and well-established, security is of vital importance to your organization. While heavy wood or steel doors and a closed-circuit security system are the industry standard for protecting the important people and assets contained within the walls of your office, you should also consider incorporating fingerprint scanners into your already existing security system. Fingerprint scanners offer a number of advantages over the traditional lock-and-key doors. For one thing, a person's fingerprints cannot be duplicated reliably and thus cannot be used to open a door protected by a scanner. Typical keys can be copied and there are any number of ways to gain access to the key itself, either by stealing it or making a copy and then returning it. As already mentioned keys can be lifted off a person or found and then copied by any thief; your finger cannot just fall off. Also, there is no need to worry about someone removing your finger and using that because scanner technology is so advanced and sensitive that it can tell the difference between a "living" finger that is still attached and one that is not. As you can see, the innate safety features in a fingerprint scanner puts it well above normal doors. 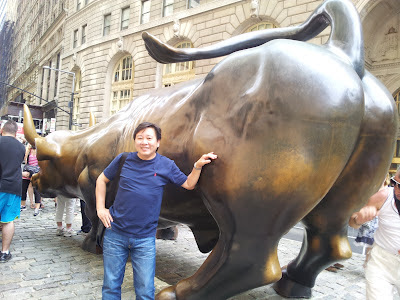 “As long that you have a decent job, work hard, law-abide, you can consider yourself fulfilling a role as a good citizen,” there was this CEO trying his best to cajole newbies with his over-simplified motto when I first joined the IT company right after my graduation. That moment my conscience shot back, “Yeah? How about those who work hard at licensed casinos or at tobacco companies? How about your cars that spit carbon monoxides and contribute to pollution everyday? How about ……. ?” We all have sinned; the simple mantra for life won’t get you near to any role model example. We often heard of the listing regulatory authority emphasizes on the importance of corporate governance and social responsibility. But, when you have the chance to look at the courses constantly offered to the directors, you would realize on how pale the contents really are. The real purpose of these courses is to urge the directors to protect the minority shareholders’ interests, not the real public’s interests. Indeed, a lot of public listed companies have very little concern of the public, even those who made corporate governance the ‘bible’ in their daily operations. The reason is simple. They’re driven by profit, by the greed of ROI. Even when the public companies have tens of thousands of shareholders, the number is still considered minority to the real public. And we have no short of examples where the interests of public companies conflict with the publics. Take for an example the increase in electricity tariff; the share price rises for the electric power provider, the investors are happy, and they would tend to ignore the inflation and the increase in the cost of living as the after-effects. 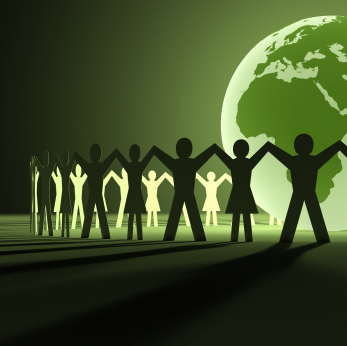 And the minority shareholders might think, “What can I do about it? Since I couldn’t beat them, it’s better that I suffer less from the side effects and join them.” And believe me, these vultures are well aware of every tactic to lobby the government to work towards their interests, to add bigger profit to their already lucrative monopoly business. You may criticize these companies, but would your virtue be strong enough to avoid investing in their stocks that guarantee dividends? 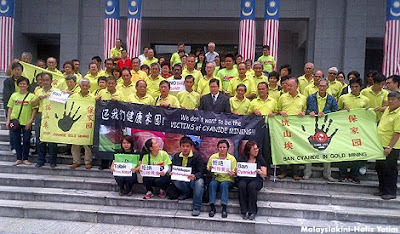 We saw the shameless shareholders posted their comments on the Facebook page of Lynas after the company been awarded the temporary license to operate their rare-earth plant that may harm the environment by emitting radioactive Thorium as by-product, despite hundreds of thousands Malaysian demonstrated and staged numerous strong protests against the operation. Where are those social responsibilities at the time of need and when the law permits (not to have one)? And we all know that laws are so easily bent in developing countries. That is why quite some pharmaceutical companies have their clinical trials on new drugs in developing countries like Kenya, Nicaragua, Cambodia, and Mongolia, because it is much easier to find human guinea pigs, and the loosely regulatory environment in these countries avoid them from the threat of litigation if things went wrong. When Bukit Koman Anti-Cyanide Committee in Malaysia called for a donation after they lost their legal battle against a gold mining company early this month and the Federal Court ordered them to pay RM15,000 (USD5,000) as legal cost, we donated RM10,000 to inspire more corporations to support civil society movements and underprivileged groups. To me, charitable activities shouldn’t bejust an icing on the cake. Nowadays, fingerprints and fingerprinting is a common form of identification; we have to be fingerprinted for various official purposes and many companies use fingerprint scanners to identify, verify, and authorize personnel access. But how was fingerprinting used in the distant past? Let us find out. Pottery found in the ancient civilizations of Babylon, China, Egypt, Greece, Minoa, and Rome have had fingerprints found on them. Fingerprints have also been found on bricks and tiles. In certain cases, prints were deeply embedded into the clay as a sort of maker's mark. Ancient Babylon used fingerprints in conjunction with written signatures on contracts. Around 246 BCE, Chinese officials would impress their fingerprints onto seals for official documents, much like signet rings were used to seal wax-sealed letters. When paper became prevalent in China, they would impress their hand print onto documents alongside their signatures. In law enforcement, the first time fingerprints were used as evidence was as in China around 300 CE; it was used to identify a thief. Over 300 years later in 650, Chinese historian Kia Kung-Yen would proclaim the usefulness of fingerprints as a means of identifying individuals. Persian physician Rashid-al-Din Hamadani would reiterate this point when he said "Experience shows that no two individuals have fingers exactly alike." New time-clock software works wonders for the Accounting department. It allows them, in cooperation with the Human Resources department, to keep track of when employees clock in and out of work. Combine this with a fingerprint scanner and your company has itself a very efficient and very reliable system to see which employees are making appropriate use of their allotted time. Using both of these systems, Accounting will have a much easier time with payroll. Also, they can make sure each employee receives the exact amount of money owed to them, nothing more and nothing less. Overpayment is a waste of money and if not accounted for, can have serious consequences on the company's bottom line. Underpayment is a surefire way to create surly workers; this is especially true if it happens often and to more than one employee. Time-clock software eliminates the inefficient and unreliable old punch-card system that has been traditionally used by companies for decades. They can easily be manipulated to an unscrupulous employee's favor, and Accounting will never be the wiser. There is newer and better technology out there. Upgrade your attendance system to one of our affordable biometric time-clocks. In the end, you will save both money and time. There was a big hoo-hah leading to the Malaysia Independence Day last Friday. From the logo to the song to the tagline introduced, all had received constant mockery by Malaysians, online and offline. The logo, designed by a phantom so-called designer, didn’t reflect the work of a professional and failed to carry the spirit of the nation’s 55th year of Independence. Some equated the work to homework of a primary student who has just learned to use PowerPoint presentation in the 90s. The elements of the logo were not cohesive and even worse; an explanation about every element was offered in a table below the logo. To me, it was hilarious for a country that spends so much time talking about the development of ICT, our vision and mission to be a developed nation supposedly 8 years from now, to accept such level of work for a national level event. I reckon the designer and the people in charge were not even aware that this is year 2012 and that we have left 1992 twenty years ago. Malaysian netizens from the world over came together in protest of this ridiculous logo designed for this auspicious day, forcing the government to drop the adoption of this logo totally. Many designers offered their alternative designs of the logo and not surprisingly, many are capable of producing far more artistic and memorable logos for the day. These same designers were offended by the notion that logo design is trivial, and was treated as an “anybody-can-do” type of task. According to them, designing a logo involves a lot of creativity, as it has to be precise, compact, appealing and mesmerizing, and at the same time, be symbolic and reflective of a deeper meaning. 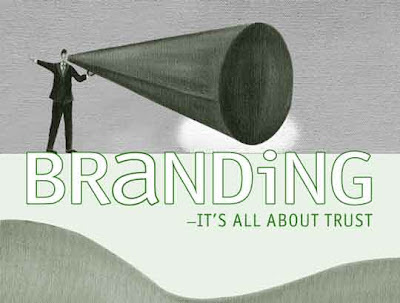 A logo is an emblem of a brand, so to speak. Apple does not use any alphabets in their logo, yet it grabs wide attention from its consumer market, so much so that people feel proud of owning an Apple-branded device. Mercedez has a three-pointed star inside a circle and when your car key also has that, it means something nice; simple yet so powerful. When it comes to designing a logo, the question would be what kind of perception do we want to transpire from the logo. FingerTec introduced its T-box recently and we are proud to present our newly designed logo for the product. 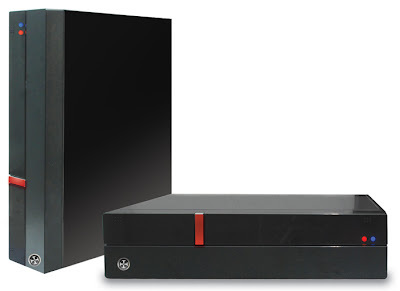 The T symbolizes the TimeTec Web which centralizes the data in one place, and this T-box makes TimeTec Web deployment easy with preconfigured settings. What do you think about this logo? 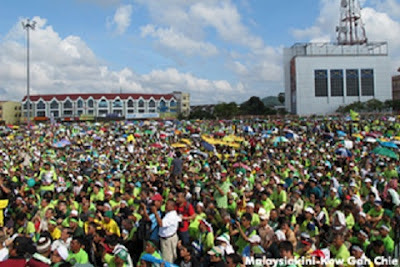 Malaysia marked its 55th year of Independence last Friday with great celebration from morning till night. Everyone was proud to raise our Jalur Gemilang and we sang praises to our nation’s heroes. But this young country needs to do so much more for the challenging future. One thing to note though, self-praise and narcissism is counter-productive, impolite, and gets you no where - let the praise come from others. And in this Facebook era, don’t post something and Likeit yourself. If you’ve posted it up for others to see, then you might as well let them be the judge of it. I wish my country a prosperous year ahead and we should open to change for the better. 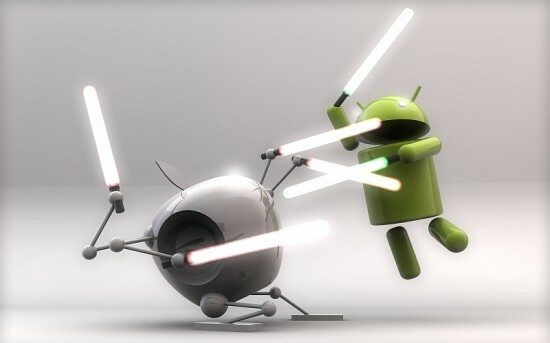 Patent war has become nasty nowadays. Even when it comes to your original work, you still might have a chance to infringe other people’s rights. The absurdity of the fact could be explained in this following scenario: Your product was launched for quite sometime but you didn’t file for patent application while the other company (that made the same product as you) had filed and granted the patent though the product is still under incubation. They could sue you for violating his patent, you could lose the case and compensate their losses, although technically, you’re not stealing anything from them. And, there is a possibility that they copied your idea in the first place. Most technology startups, especially those from developing countries, have high chances of losing when engaged in intellectual property war game. Most of them are even unaware of the magnitude of the IP right, or in the state of penny-pinching, any budget allocation for patent expenditure seems unrealistic, and would instantly be considered excessive in their plan; to be dropped without much hesitation. But when we look at startups in the Silicon Valley, whom are showered with all kinds of funds from angel investors and venture capitalists, and whom have enough exposure and guidance to survive and prosper in the modern warfare, who knows how to play lawyer first, inventor later. According to Bloomberg Businessweek (August 13 – 26, 2012 issue), in an article, Hiring a Mercenary for The New Patent War, a new startup, Tactus Technology, filed 20 applications before even beginning to bring their inventions to life. How much do you have to spend to start a patent application? Schox Patent Group responded to Businessweek interview by saying that they charge a flat rate of US$15,000 per patent. For big corporations, this sum is peanuts, but a big sum to smaller companies. “Decades ago a machine might have five or ten patents,” says Schox. “But today, the phone in your pocket has about 5,000.” It seems that the patent filing is a lucrative business, but the huge incentive lies on the patent litigation war. 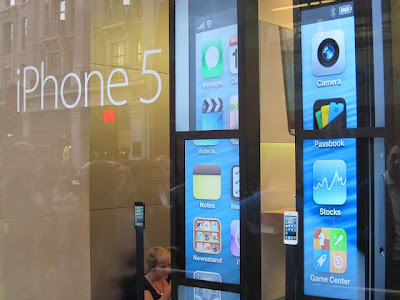 On 24th August 2012, Apple won its patent lawsuit against Samsung on the infringement of its multiple patents in the US, including scrolling, zooming, navigation features, as well as icon design and appearance, which awarded the company a US$1.05 billion in settlements. The patent war ignited by Apple is also a strategy aimed at Google to suppress the advancement of its Android powered smart phones and tablets. The impact? The initial objective of patent rights was to protect the novelty of an invention; now it has become a double-edged sword to subdue competition and innovation to some extent. We are a technology company, no matter how I loath the twisted development of patent application; it is still one of the indicators to measure the technology strength of a company or a nation. As a technology company, we have to file more patent applications to protect our intellectual property. 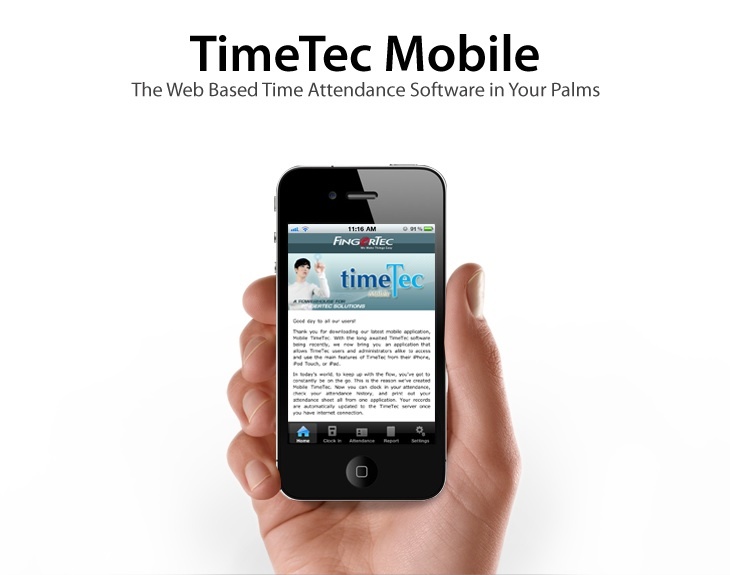 This month, we filed in a patent application for “A Time Attendance tracking method and system” for TimeTec Mobile App, and another patent on one-touch technology is to be filed next month. Here is our part done in the patenting world. Business owners and companies are always looking for ways to speed up their workforce and make workflow more efficient. Being more efficient means both cutting costs and earning more money. A relatively simple solution is to upgrade employee time-clock methods. The old-fashioned way is by using a card to punch in. Some businesses use even more basic forms of clocking in: bosses make note of when their employees come in or the employee writes it down on the schedule. The problem with the first way is that it is easy to "game" the machine. A friend or colleague can game the system by taking his friend's punch-in card and punching it himself, regardless of whether or not the friend showed up for work on time --if he showed up at all. The second method is not reliable in the least. What if your supervisor is not at work one day? You have to tell someone else who will let the supervisor know, and that wastes time and money. Simple human error is another reason the method is not viable. Your boss might forget to make note of you coming into work. To combat the problems these two archaic systems create, consider upgrading to a fingerprint time-clock system, which is easy to use and reliable. It was like a dream that had finally been realized. This night scene photograph that I picked to be used for my faculty magazine in my sophomore, is still fresh in my mind. 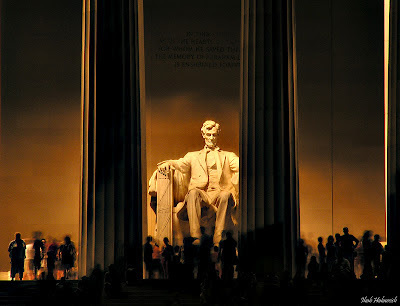 The all-white pillars magnificently stood as the base structure of the Memorial Hall, and the dim yellow lights solemnly bathed the Statue of this great man, Mr. Abraham Lincoln, in his regal sitting position, in between two pillars inside the hall. And now, after more than two decades, I stood yet again before the Statue of Lincoln with a better idea of its proportion, and with one of his famous quotes always lingering in me, "You can fool all the people some of the time, and some of the people all the time, but you cannot fool all the people all the time." Even though there are 44 Presidents since the US’s independence in 1776, the greatness of Abraham Lincoln is still distinguishingly highlighted in the State that was named after its first president, George Washington. Even the tour guide spent more time on this 16th President, showing the spot he got shot, and the hospital he was admitted in after the assassination in April 1865. What made Lincoln the greatest American president? He ended slavery, guided the country through the constitutional, military, and moral crisis – Civil War. No man is born to be great. What makes a man great depends on what he did in his lifetime. The same for a brand, to become a great product or a great brand, you need to have something extraordinary to deserve an appraisal of greatness. And one good thing about brand, unlike human beings that have a biological lifespan, it can last long when all the factors are right. As a brand in the Internet era and social media technology that widespreads everything in the speed of light, the famous quote of Lincoln has to be upgraded to a more stringent level to “you fool no people at any time”. And you take no chance, because any wrongdoing can hurt your brand almost instantly. Last two weeks, a leading Chinese newspaper in Malaysia was uncovered with plagiarism in its editorial article, and the news spread fast on Facebook. Within two weeks, readers exposed another 20 more plagiarized articles by simply using Google as their investigative tool. The newspaper demonstrated the worst kind of response by merely publishing a perfunctory apology on its Facebook fan page, but played dumb in its printed dailies, to limit the right to inform their readers, as a damage control solution. But I dare say you fool nobody in the Internet age. The virtual world and the real world coexist and are interactive, insincerity would eventually rebuke and haunt your credibility. To summarize my US trip, it was a pleasure to have met our FingerTec partner in New York, to exchange ideas, to better understand the local market, and to explore on how to expand the FingerTec brand in North America for the coming years. Overall, I had a pleasant stay in New York this summer. The weather was not too hot, especially in the breezy sunny days, wind blew with an unexpectedly soothing cool air, and walking in the vibrant metropolitan city was quite enjoyable. I even managed to visit The Metropolitan Museum of Art and MoMA, the Museum of Modern Art, besides some other popular tourist spots.